Are Plastic Bag Bans Really Making a Difference? As the 2016 election came to a close and the votes were tallied, the California bag ban became a reality thanks to a 52 percent “yes” vote. As a result of the vote, large grocery stores, pharmacies and other retail stores are no longer allowed to provide single-use plastic bags to shoppers, while other small retailers will join after a year. As the California bag ban settles in, many are left wondering if it’s reducing environmental damage and waste. While it may be too early to tell with California’s ban, there are a few cities and countries around the globe that are already seeing positive results after banning plastic bags in their location. 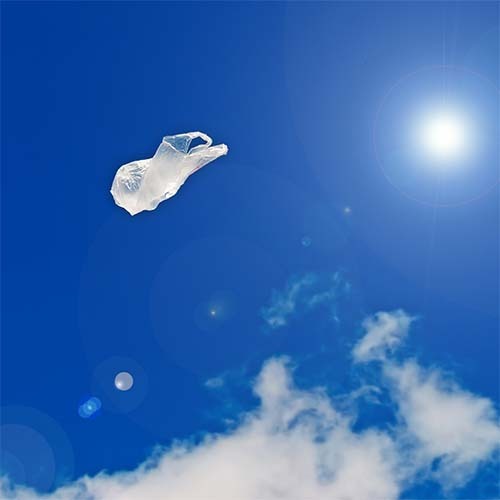 San Jose, San Francisco, CA and Thurston County, Washington have proven to be among the most successful U.S. cities in waste reduction as a result of their own bans on plastic bags. San Jose implemented their plastic bag ban back in January 2012. The ordinance prohibits the usage of plastic bags in all grocery stores, hardware stores, pharmacies, as well as local, national, and mobile retailers. In December 2012, the city conducted its first survey since the ban regarding litter results in creeks, storm drains and streets. The report showed great improvement in eliminating environmental damage in residential and businesses areas, as the plastic litter was reduced by approximately 89 percent in the storm drain system, 60 percent in creeks and rivers, and 59 percent in neighborhood streets. Another positive result was that the average use of plastic bags reduced from 3 bags to 0.3 bags per visit. Consequently, shoppers were more willing to carry their own reusable bags for grocery shopping than before. Thurston County’s plastic bag ban came into effect on July 1st, 2014. Six months later, the county’s Solid Waste Advisory Committee released a report regarding its bag ban efforts with results from a variety of scopes. The report highlighted that only 3 percent of the residents said they carry out single-use plastic bags, compared to 63 percent before the ban. The city also saw the use of reusable bags had grown from 20 percent to 53 percent, which was a pretty extraordinary improvement in just half a year. Another positive indicator was that 51 percent of businesses and 46 percent of the residents think the ban should be kept in place, which demonstrated that the policy had won support from many local shoppers and businesses. The city-wide, San Francisco plastic bag ban passed in October 1st, 2012, forbidding all retailers from giving out single-use plastic bags. This ban expanded to restaurant businesses in 2013 to further address the problem. The bag ban ordinance prohibits all single-use plastic bags at checkouts and charges shoppers 10 cents for all compliant bags (paper bags, reusable bags and compostable plastic bags) provided by retailers. After implementing the new plastic bag ban, San Francisco reportedly saved up to $100,000 for avoided plastic bag cleanup costs and a total of $600,000 in savings from reducing single-use plastic bags waste processing fees. Right now, there’s no specific report available regarding the bag ban’s effectiveness in reducing litter on the street, but the city has plans to provide a survey that does so. Europe Parliament required its countries to reduce the use of plastic bags with an aggressive plan in 2015: reduce 90 bags per person a year by 2017, followed by 40 bags by 2025. European Union member countries like Portugal and Portland, which consume plastic bags more often than the other countries, will need to put more efforts in achieving the goal. In the U.K., the plastic bag consumption has already slowed down from 7.6 billion to 0.6 billion within 6 months. Germany also saw 700 tons of plastic saved per year from major retailers, which reduces CO2 emissions by 50 percent. Although we’ve seen some amazing results so far, there are a few aspects that may devalue the efforts. People commonly use plastic bags as trash can liners. If plastic bags are banned, consumers may buy more plastic trash bags to fill the void. There’s also a growing tendency for consumers to increase their spending on reusable bags, which may cost them several dollars a year. While Europe has expanded country-wide plastic bag ban initiatives, the U.S. also has more than 100 counties and municipalities with bag bans in place to fight for a better environment. You can view our map of worldwide plastic bags here. Although measuring effectiveness can be difficult and varies from location to location, environmental departments have already seen positive outcomes in terms of the declining use of plastic bags, street litter reduction, waste processing reduction, city emission and other environmental impacts. If your business intends to find alternatives for single-use plastic bags and is interested in sustainable, environmental-friendly products, please check out Factory Direct Promos’ choice of recyclable bags today. Will New York Be The Next State to Implement a Plastic Bag Ban? plastic bag ban has a better environmental safety since give chance for reusable products which are health for both environment and to human though it leads to loss of job unless the government find a way of considering the affected and as well price for the renewable bag should be considerate.